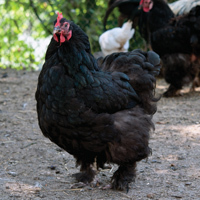 Black Langshans are also from the Asiatic Class of poultry and are a pure breed that originated in China many years ago. 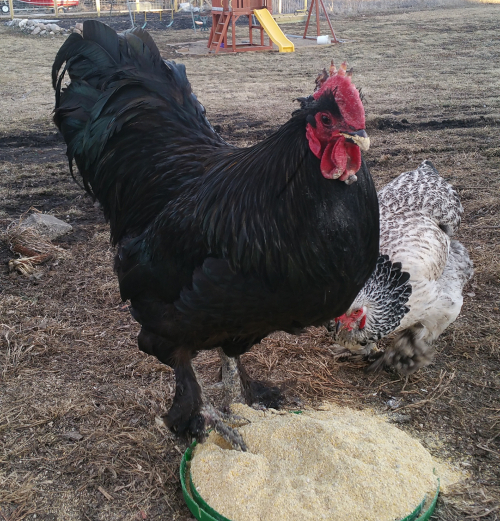 These large stunning birds are pure glossy black with bright red combs, dark eyes, and black shanks. 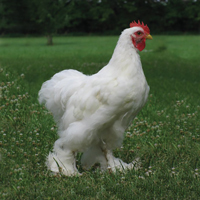 Langshans are not as heavily feathered down the legs and toes as Cochins and have a more pronounced upright appearance. 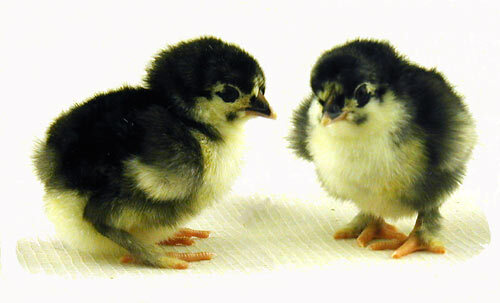 Chicks are black with some white on the underside. 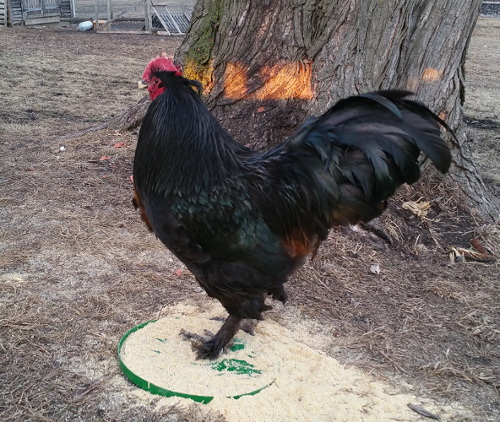 These are very nice show birds, lay large brown eggs, and are gentle. Are the Langshans only available as straightrun, or can I order sexed females? They are only available as st run. Sorry, this breed is limited so they are not sexed. Black Langshans I heard that they lay a purple egg? Langshans lay brown eggs. .
Love My LangshansI bought three straight run and received 2 males and 2 girls. One of the guys is friendly and calm and always comes right up to me to see what is new, the other three will walk away quickly if I try to touch them. Almost 6 months old. No eggs yet, but they are calm, big beautiful chickens. A beautiful green sheen on the glossy black feathers in the sun. A joy to have around. Too Slow too growI ordered 8 Black Langshans hoping that I would do my part to help restore a breed that is wanning in popularity. I had them over a year and never heard a crow and never got an egg. The other breeds of chickens that were purchased at the same time had been laying for 5 months. I got too impatient waiting for them to mature. I couldn't eat them because they were extremely scrawny. 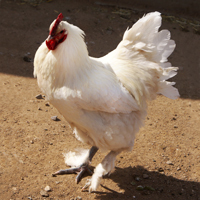 This is a useless breed of chicken. Not fat enough to eat and takes too long to start laying eggs. I got rid of them at a year old. There is probably a reason that their ALBC Priority is considered threatened. Nobody wants to raise these birds. They have no utility especially for the backyard flock. Get some Pearl White Leghorns or Red Stars.